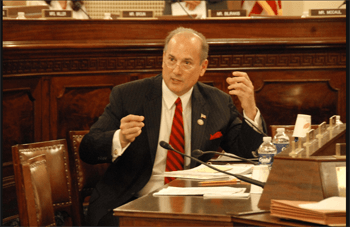 Pennsylvania Rep. Tom Marino has been tabbed to serve as drug czar by the Trump Administration, according to a CBS News report. The appointment will see Marino resign from Congress and head up the Office of National Drug Policy Control advising President Donald Trump on drug policy issues. According to a Washington Post report, Marino is viewed as a hardliner on drug issues, and once indicated that he’d like to see nonviolent drug offenders put in a “hospital-slash-prison.” MassRoots reports that since 2011 Marino has voted three times against amendments to both prohibit the Department of Justice from interfering with state medical cannabis laws and allowing military veterans to obtain medical cannabis recommendations from Department of Veterans Affairs doctors. Marino also voted against a law to protect CBD programs from federal crackdowns and has at least twice opposed industrial hemp legislation. As drug czar, Marino will have less influence than his “Just Say No” counterpart, Attorney General Jeff Sessions; however, the office over which he now presides is responsible for coordinating drug control strategy and federal government funding.